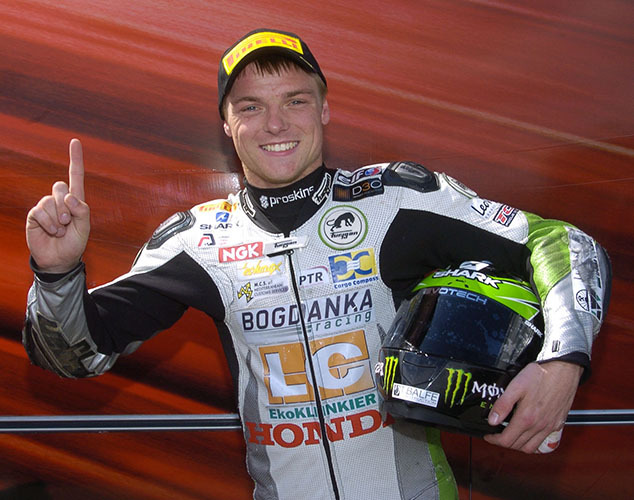 Newly crowned World Supersport Champion Sam Lowes will be one of the star guests at the Adelaide Motorcycle Awards in the New Year. The annual gala event, which has become the hottest date in the biking calendar, will be staged at the Ramada Plaza Hotel in Belfast on January 17 2014. MotoGP star Michael Laverty has also confirmed his attendance at the Awards. Last year he was delayed by 10 hours in Cardiff airport because of heavy snow, but made sure he eventually flew in for the event. The main award is the Adelaide Irish Motorcyclist of the Year, in association with the Enkalon club, and is the longest standing motorcycle accolade in Ireland. It’s voted for by the public, and overseen by a panel of expert judges chaired by former British Champion Adrian Coates. Voting for the top award is still open and poling is very close. In all more than a dozen awards will be presented at the black tie event which will once again be hosted by BBC’s Jackie Fullerton. The event is almost sold out with only a handful of tickets remaining. Anyone wishing to purchase tickets can email tickets@adelaidemotorcycleawards.com or phone 07584058810.